Bio: Originally from the Charlotte, NC area, Mark Davis started his professional golfing career shortly after graduating from UNC-Charlotte. He spent 4 years playing the mini-tours while attempting to get to the PGA Tour. His golfing career included a win on the NGA Hooters Tour and one trip to the finals of the PGA Tour Q-school. He earned his Nike Tour Card (current Web.Com Tour) in 1993 and decided to pursue other avenues in golf after the 1994 season. He owned his own golf shop from 1995 until 2008 where he focused on fitting and repairing golf clubs. In early 2008 he took over as the GM/Head Golf Professional at Siler City Country Club where he worked on growing the game of golf. He now holds the same position at Red Bridge Golf Club. With over 25 years of playing and teaching experience, Mark likes to pass on his knowledge to the youth today to try and help them become better players and people. How does Red Bridge support Junior Golf? : We support Junior Golf at Red Bridge by offering discounted or free golf to Juniors as well as hosting 3 school teams in the fall and 3 school teams in the spring. We support young adult golf by offering Student discounts to come and play at Red Bridge. Our rates are $21 after 2:00 pm during the week and $25 after 2:00 pm on the weekends for students to play 18 holes with a cart. What makes Red Bridge unique? : Red Bridge was originally developed to be a private club but was started just before the housing and economic collapse in 2008. The bad economy forced the club to go public in order to survive. Red Bridge is a unique golf course because of the topography and the great design. The course has 5 par 3’s and 5 par 5’s with a great mix of short and long holes. It is a course where you get to hit all the shots and use almost every club in your bag. Holes go up, down, right and left with many ponds and creeks in play throughout the course. Our greens are Mini Verde Bermuda Grass and are some of the best in the area. What was it like hosting the NCCGA and the City Tour? : We really enjoyed hosting NextGen tournaments at Red Bridge. The staff from NextGen made it relatively easy on us by having most things prepared and we just had to get organized with enough staff to get everything set up for them. It is great to see college students and young professionals play tournament golf and we are glad to help support the future of the game through these events. 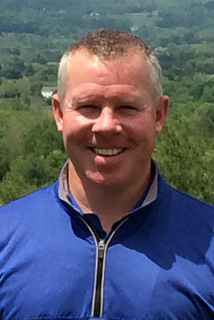 Bio: David is the Head Golf Professional and Lead Instructor at Poplar Grove Golf Club. Born and raised in Ohio, David was introduced to the game by his father and grandfather. He nurtured his passion for the game through competitive junior, high school and collegiate golf. Prior to joining our team he was an assistant golf professional at Grand Cypress Resort in Orlando, Florida and most recently the Head Golf Professional at Wintergreen Resort in Nellysford, Virginia. 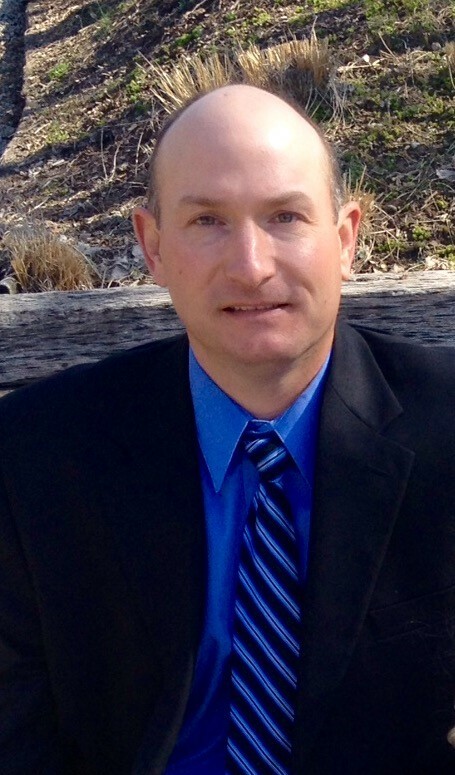 David is a class A PGA Professional and honors graduate of the Golf Academy of America with over 15 years of professional experience in club operations and instruction. How does Poplar Grove support Junior Golf? : In 2018 Poplar Grove hosted the regional qualifying for the Junior PGA Championship. Poplar Grove is expanding our junior golf offerings in 2019, starting with weekly junior camps June through August. We are trying to secure multiple VSGA & MAPGA junior events along with hosting a Drive, Chip & Putt qualifier. What makes Poplar Grove unique? : Poplar Grove is the last design effort of Sam Snead. We will be going through a 5 million dollar golf course and facility renovation starting October 22, 2018. The golf course portion will include a 1.7 million dollar complete renovation of our 81 bunkers and clearing project to bring the course back to the original design. Poplar Grove is known best for the championship layout and our wall to wall bent grass playing surface. Ed Carton (designer of Poplar Grove after Sam Snead’s death) has said that Poplar Grove Golf Club is one of the top 50 courses in the nation. What was it like hosting the NCCGA? : I thoroughly enjoyed hosting the NCCGA event this year. The competitive nature of the event was evident throughout. I was very impressed with the scores over the two day competition, especially the 69 from Liberty’s Austin Northern (who happens to be a member at Poplar Grove). I look forward to hosting more NCCGA events in the coming years. Bio: Josh joined Musket Ridge in 2014 with experience at high-end clubs such as Cattail Creek Country Club, Hollow Creek Golf Club, and Orange County National Golf Center. He studied at Penn State University and The Golf Academy of America, Josh fell in love with the game of golf early in his career. He has been a PGA professional since 2003 and he gained Class A membership in 2009. 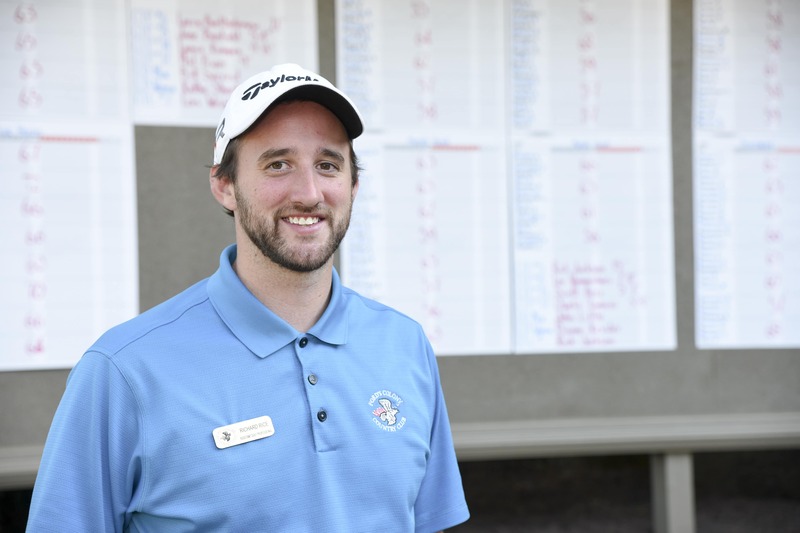 Josh spends most of his spare time with his wife and two young children and, as a big sports fan, often volunteers at elementary schools to teach kids about the game of golf. How does Musket Ridge support Junior Golf? : We strongly encourage junior golf and support it with a wide variety of programs for the youth. PGA Junior League has been extremely successful and it’s great to see all those kids on the course. What makes Musket Ridge unique? : Musket Ridge is unique in many ways not only is the design phenomenal, but the views are outstanding. We pride our self on course conditions, and a welcoming atmosphere. The course is one that you just want to keep playing over and over. What was it like hosting the NCCGA? : Hosting the NCCGA events is a whole lot of fun. It is awesome to see the students out there competing and getting to enjoy sometime away from studies. Each and every player has been nothing but polite and courteous. They are truly a joy to have at the facility. We look forward having them for many years to come. Interesting facts about Musket Ridge? : Musket Ridge is proud to be the final jewel in Gentleman Joe Lee’s design crown, which has more than 250 courses to his resume, including names like Cog Hill, Doral, Bay Hill and La Costa. 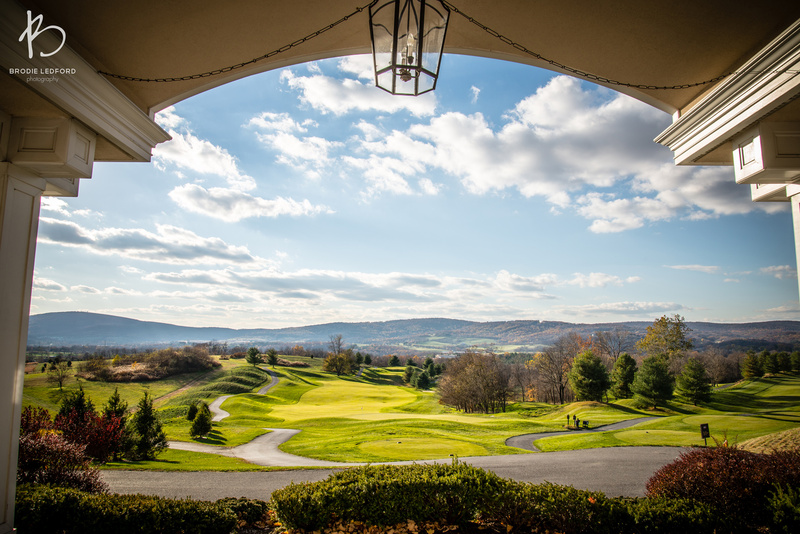 Encompassing some of the most scenic property the Mid-Atlantic has to offer, the impeccably conditioned fairways and greens of Musket Ridge combined with Joe Lee’s masterful design provide a first-class golf experience. Bio: Richard Rice was born and raised in Yorktown, Va. After graduating with a Bachelors Degree from James Madison University in late 2009, he began working at Ford’s Colony Country Club in 2010. There he started his path towards his professional career as a Golf Professional. 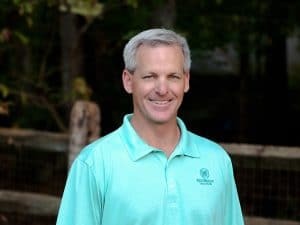 He now serves as Ford’s Colony’s Head Golf Professional. Interesting facts about yourself? 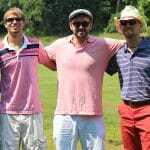 : Despite being a golf professional for 5+ years, I have only played golf for 7.5 years. What makes Ford’s Colony unique? : We are unique because we have 54 holes of golf that all come out of the same pro shop. Courses provide variety with 2 Par 72 courses with Bermuda grass greens, and one Par 71 course with bent grass greens. What was it like hosting the NCCGA? : NCCGA was a great organization to work with. The staff and players were friendly, organized, and professional. We hope to have them back again! Interesting facts about Ford’s Colony? : In the 1990’s, Ford’s Colony’s Marsh Hawk Golf Course hosted Monday qualifiers for the PGA Tour’s Michelob Championship at Kingsmill. 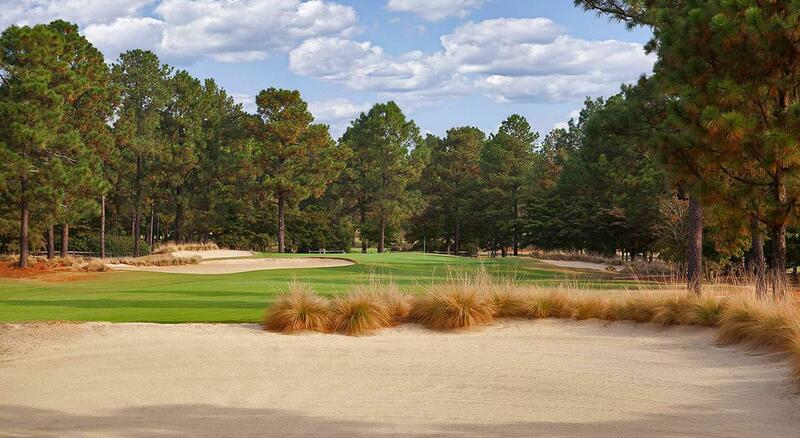 Bio: Originally from the Sandhills of North Carolina, home to the famed Pinehurst Golf Resort, my desire to play golf and work in the golf industry was founded here in Pinehurst, NC. My dad worked for Pinehurst and Pine Needles Resort when I was young. It was during this time my love for golf was set. I worked the summers doing various jobs at several of the area courses, from mowing to weed eating to raking bunkers. I definitely learned to appreciate all aspects of the game. As a kid I would “hang out” with the caddies at Pinehurst Resort – a great education on the roots of the game! With 36 hole of golf, we have availability to accommodate groups and tournaments! We are also are the home of the First Tee of the Sandhills and home course of Union Pines High School, Sandhills Community College and North Moore High School. We are happy to be hosting the NCCGA again this year. Rodney’s background in the industry: I was lucky enough to enjoy playing college golf at The University of North Carolina –Greensboro. While at UNC-G I became an all-conference golfer as well as an all academic team performer while obtaining a degree in Information Services and Operations Management (ISOM). I also played in the NCAA Division III National Championship Tournament during my college career. After college I began working as an assistant professional at Greensboro Country Club. A few years later I became the Head Professional at Richmond Pines CC in Rockingham, NC. After 16 years there I moved to Southern Pines Golf Club for 2 years and then to my present position at The CC of Whispering Pines where I have been the PGA Head Professional / General Manager for past nine years. I have been a PGA member for 27 years. Facts about CC of Whispering Pines: We host a lot of tournaments and events at CCWP. 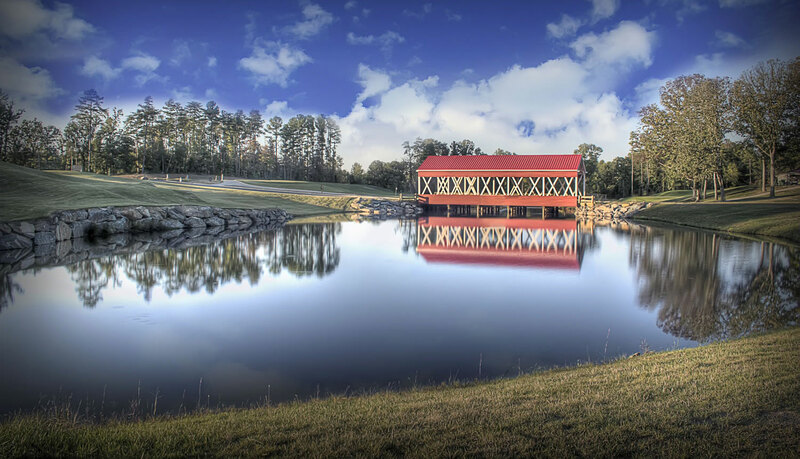 We are the site of NC State High School Championships, NC Independent High School State Championships, US Kids World Golf Championships, Brown Golf Management Intercollegiate Golf Championship, and several Carolinas Golf Association Events. With 36 hole of golf, we have availability to accommodate groups and tournaments! We are also are the home of the First Tee of the Sandhills and home course of Union Pines High School, Sandhills Community College and North Moore High School. We are happy to be hosting the NCCGA again this year! 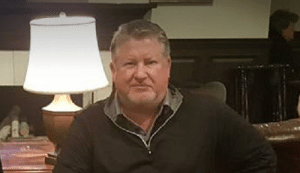 Supporting junior and young adult golf – Joe has always had an interest in promoting junior golf and has developed one of the largest junior program in the Miami Valley region. The Beavercreek Golf club annually host 2 junior golf camps which average 75 children per camp. Additionally, the Course has developed a program where any golfer age 12 and under can play free with a paid adult. What makes Beavercreek Golf Club unique? – The Beavercreek Golf Club hosts numerous events recently hosting the 2017 SOPGA Junior Tour Championship, the 2015 MVGA Metropolitan Champ, the OHSAA Division 1 boys sectional golf tournament was held at the course from 2007-2015. Currently, from 2016 – to the present the course hosts the OHSAA Div. 1 and 3 boys district golf tournament alternating each year with the Div. 1 girls and Div. 2 boys. 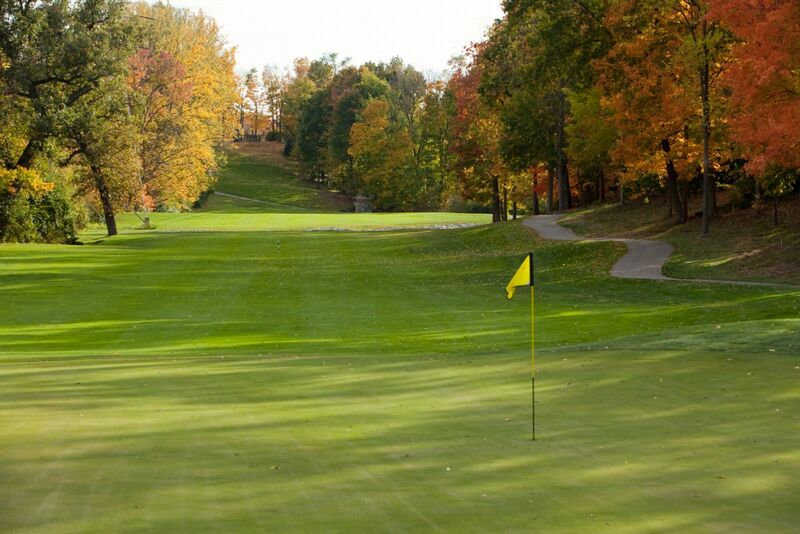 The Beavercreek Golf Club is unique in that it provides one of the toughest tests of golf and one of the best conditioned golf courses in the area. Many people do not realize we are a public access facility and are owned and operated by the City of Beavercreek, Ohio. 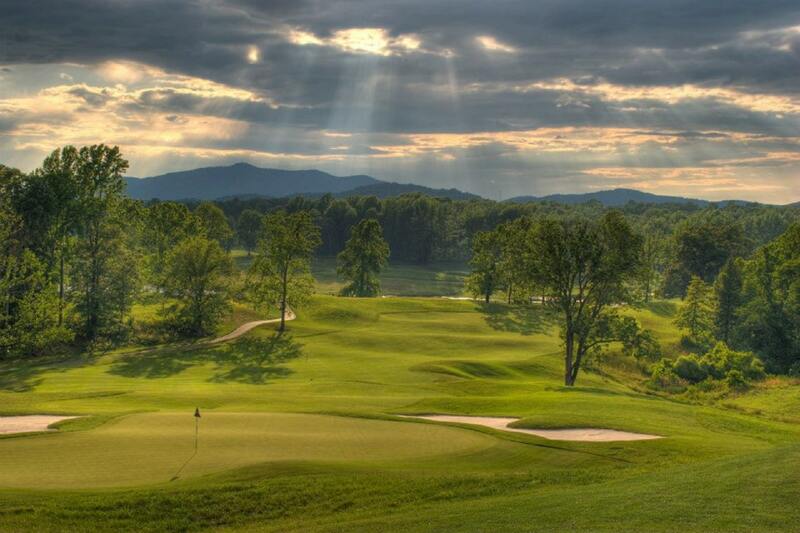 We look forward to hosting the NCCGA event this year and hope that you enjoy our beautiful facility.